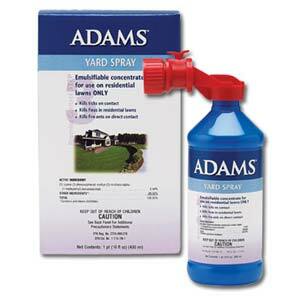 Adams Yard Spray is an emulsifiable concentrate. It is ready-to-spray using the hose-end applicator applicator bottle. 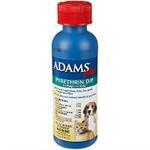 Adams Yard Spray kills fleas and ticks in residential lawns and backyards. 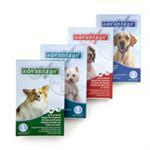 It can also be used to control deer ticks and fire ants. A 32oz bottle of Adams Yard Spray concentrate makes 36 gallons of spray and treats up to 6,000 square feet.